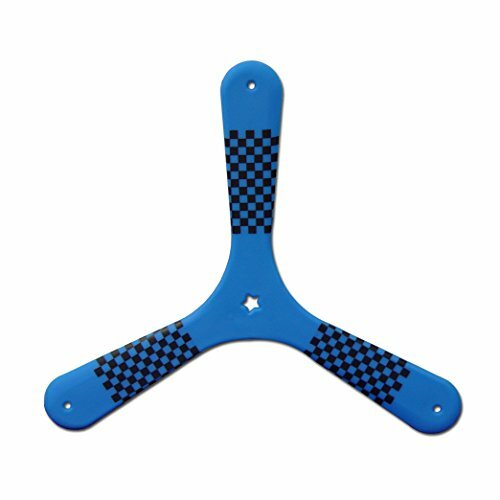 Blue Speed Racer Fast Catch Boomerang - Returning Boomerangs for Boomerang Athletes. Beginning Boomerangs for Young Throwers. This is an ideal beginner boomerang. Great hover for easy catches. Throw up to 45 degrees off the wind direction. Use the Manual which comes with it to learn how to throw boomerangs! Note: THIS BOOMERANG IS RIGHT HANDED ONLY. Great Beginner Boomerang for Kids! Optimized for Fast Catch, with a nice long helicopter hover! For ages 10-70 years old, Right Handed Throwers only! Includes 24 page "How to Throw Boomerangs" booklet for Free! Access to "How to Throw Boomerangs" videos!